If you have an audience that might show up using a mobile device they will need to download the app the access it. Now Easywebinar does prompt them to do so at the time they try and enter into the event room. But you can also send them the URL ahead of time within one of your before emails you send out. 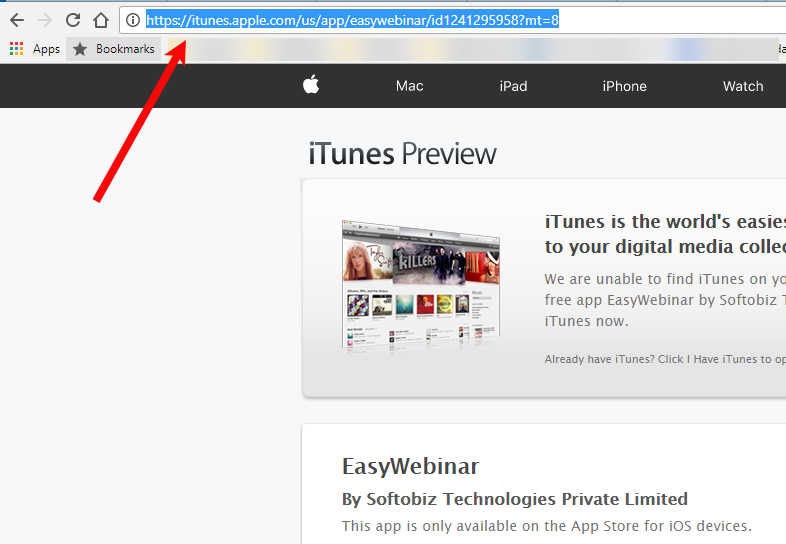 Below will be 2 buttons for you to go to the page and get the url so you can paste it into your emails. 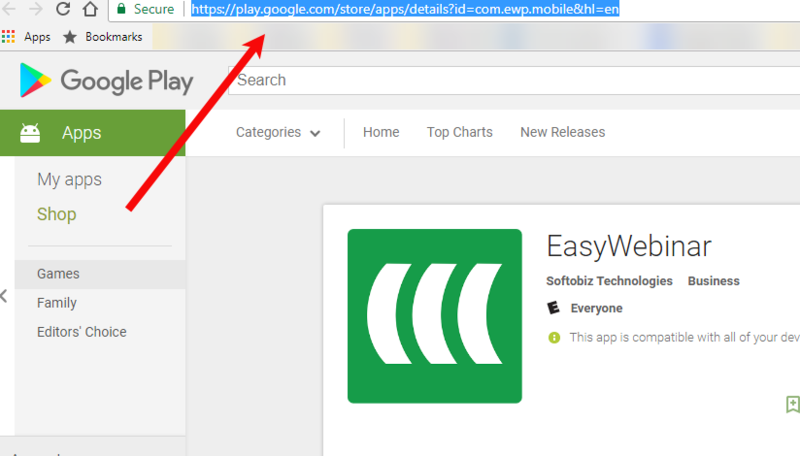 When you click on the button you will go to the page and you will get it up in the address bar. You can highlight it and copy it into a text or word doc so you can have it for your emails.